Waterproofing is an often overlooked task during building and construction projects, and is one of the major causes of problems and defects in work carried out. This becomes an even larger issue when you realise that many waterproofing related problems do not become obvious often for months or even years after construction has been completed. Rectification work of these issues can end up costing considerably more than having had the correct waterproofing installed originally. Although we sell a large range of DIY Waterproofing Products, we always recommend having a solution installed by our team of trained, authorised installers. 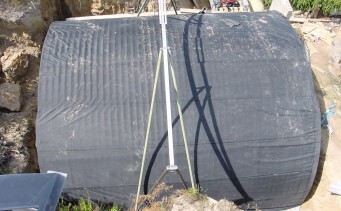 By using Membranes Australia to install your waterproofing solution the work will not only be guaranteed by us, but the manufacturer of the membrane will often provide the same guarantee giving your extra piece of mind.